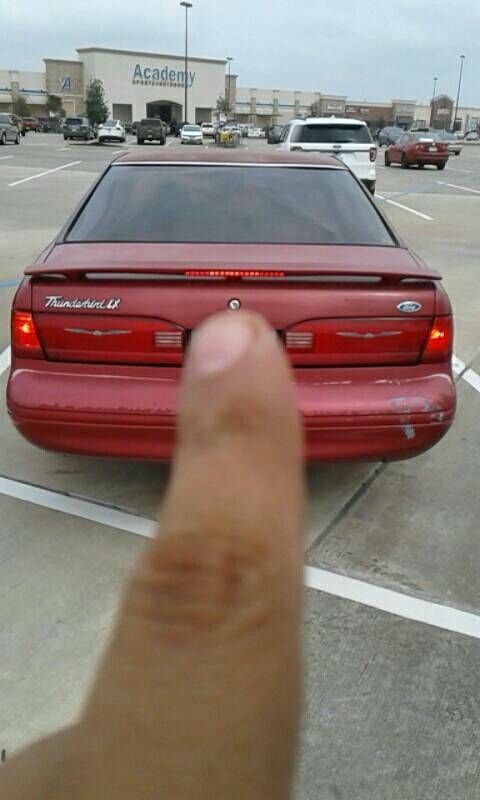 Find this 1997 Ford Thunderbird LX offered for $1300 in Houston, TX via craigslist. Selling clean title strong running FAST 1997 ford thunderbird LX 4.6L V8!! Clean title, cold air and heater work, some paint blemishes and dents but no major body damage. Clean Good running 4.6 V8 in a coupe always makes for a good project car. New sticker just last month. Call or text for more info. 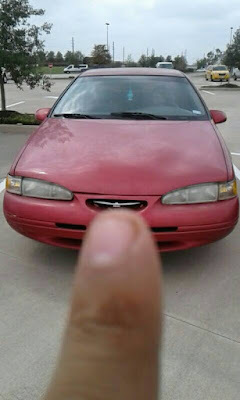 Flipping the finger or the bird? Anyone here have ownership experience with one of these Thunderbirds? I hadn't really thought about these much before, but it's a cheap way to get a Modular V8 with RWD and independent suspension. I would think this would compare well to a Mustang GT of the same era. Maybe a little heavier, but probably better handling and more comfort. 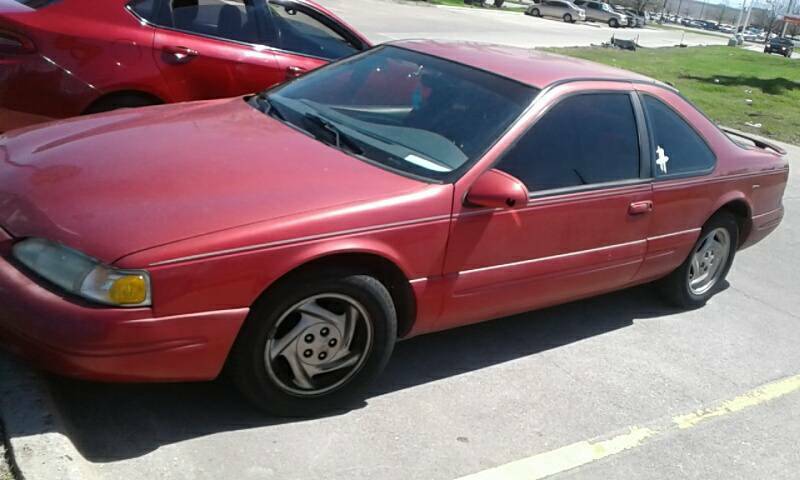 I've thought about picking up a cheap 90s Mustang, but is this a better option? They're kind of soft compared to the Mustang, and the suspension is flaccid. The body structure always seemed too flexible to me too. Kind of looks like a clone of 6 series BMW coupe of the era. Not to sound like a BMW fanboy but....there is no 6 series from this generation. Maybe a 840i after many Jager shots? That's likely the Sport trim level, which means it had a somewhat upgraded suspension. It was also a way for Ford to use up excess Thunderbird SC wheels in the 1996 and 1997 model years, after they - sadly - killed off the SC itself. I had a '96 Sport in the household when it was new and it was a very good car in basically every way - just a lot of car in terms of width. This is basically a segment that no longer exists - personal luxury coupe under a non-luxury brand; so there's some serious throwback appeal here.